The 6536 is used with the RAD Short Haul Modems. 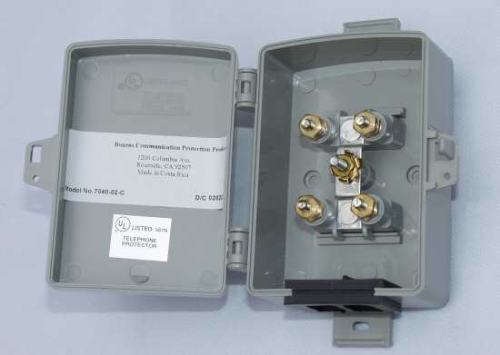 This surge protector base kit helps suppress electrical transients that may be carried along a 4-wire transmission line. A surge protector is recommended at both the data logger and computer ends of the short haul cable.